My understanding is that the BMW had a green light and the red car turned left in front of him. 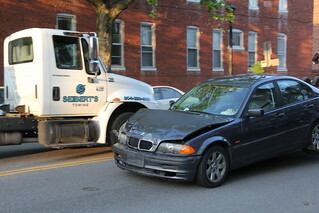 This accident happened at Boulevard & Floyd Avenue in the Museum district of Richmond, VA. 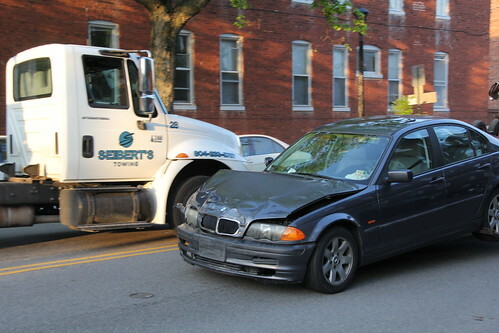 The BMW driver was headed to a high school reunion. Everyone walked away OK, if not a bit sore. Siebert's Towing and Great Deals Towing and Recovery towed the two vehicles.